Day 02 Saturday: Muscat The Sultanate of Oman has a history that dates back to almost 3000 BC, in an era known as Magan. The Samaritans inhabited the country around 4000 BC followed by the Phoenicians, Assyrians, Babylonians, Shabeans and finally the Persians. At this time, Oman became famous for its trade of copper and frankincense throughout the Arabian world. By the year 630 AD Islam was established in Oman and the religion quickly spread. This morning is free to relax, and in the afternoon we take the Muscat Discovery tour, which includes the Oman Museum, the Natural History Museum, the Ministries Area in Al Khuwair, the Aalam Palace, the Corniche and a unique traditional fish market. Day 03 Sunday: Muscat Today we enjoy a day excursion to Nizwa, built by the great Imam Sultan Bin Seif. In the 17th Century Nizwa was chosen as the capital, due to its well-protected position and construction. Even today it remains one of Omans most impressive towns. We begin our tour with a visit to the massive circular fort, surrounded by vast mud walls. We explore Jabrin Castle and the World Heritage Site of Bahla Fort. The ruins of the immense fort, with walls and towers of earthen brick and foundations of stone, provide a remarkable example of this type of fortification. Jabrin Castle, built by Imam Bilarab in 1675 AD, is an edifice surpassing all other forts in Oman, both in size and magnificence. One cannot help but admire the extraordinary carved wood paneling and friezes painted on the walls. Verses from the Koran and poems engraved in the walls celebrate the beauty of this grand castle. Moving on, we arrive at the Nizwa Souq where a unique goat and cattle auction is held. On our return to Muscat, we enjoy a visit to the aromatic Amouage perfume factory. Day 05 Tuesday: Kuwait Kuwait is a cosmopolitan city-state with a population that has more non-Kuwaiti residents than locals. Our morning tour of Kuwait includes the Kuwait Towers, Seif Palace, the Imirs Headquarters, Jahra Gate, the Dhow Village, the National Museum and Al Bader House. The afternoon is free to explore the many souqs. Day 07 Thursday: Bahrain Our tour of this Sheikdom includes Bait Al Quran, the Al Fateh Mosque, the Ola Palace, the Guest Palace, Island Muharraq, the Old Souq, a traditional village, camel farm and a visit to the pottery makers at AAli Village. The evening is free to wonder the narrow lanes of the Arabian Nights. Day 09 Saturday: Doha After breakfast we take an excursion into the desert. The desert of Oman offers the traditional nomadic lifestyle of the Arab World. 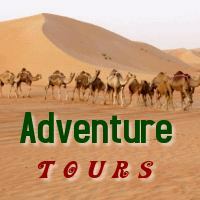 We witness the oasis lifestyle, the mirages in the desert, animal preservation efforts and a lot more. Where we also have the opportunity to meet the local Bedouins. Day 11 Monday: Dubai/Sharjah/Ajman Our morning city tour of Dubai includes the Jumeirah Mosque, the Museum, as well as the Spice and Gold Souqs. Our next stop is the Emirate of Sharjah, including a visit to the Natural History Museum, the Discovery Center, the Aviation Museum and the Cultural Center. We then take a short drive to the Emirate of Ajman, where we will visit the Ajman Museum, the Dhow building yard, the Pearl Monument, the King Faizal Mosque, the Bird & Animal Market, the Al Arsah Souq, Al Hisn Fort, Bait Al Naboodah and the Islamic & Art Museum. Day 12 Tuesday: Fujairah Our next two days are spent in discovering the remaining Emirates and Sheikdoms in the UAE. We start with a full day tour to the East Coast which includes visit to Fujairah, Khorfakkan, a typical Arabian fishing village in Dibba, Masafi, the market, the Al Bitnah Mosque (oldest in the UAE), Kalba Fort and the natural springs in Masafi. The evening is free for you to enjoy the Dubai nightlife. Day 13 Wednesday: Umm Al Quwain/Ras Al Khaimah In the morning we visit the last of the Emirates, Umm Al Quwain & Ras Al Khaimah. This includes the well-preserved Ras Al Khaimah Museum, followed by a visit to the old city, the fish market, the dhow building yards and Al Khatt springs. The evening is free to enjoy the many attractions that Dubai has on offer, a real example of where East and West dine together. Day 14 Thursday: Depart Dubai After witnessing the lifestyles of the rich desert people of these magic sheikdoms, we bid farewell as we take our departure flight from the majestic Dubai Airport. A NON REFUNDABLE DEPOSIT OF US$100 PER PERSON is required in advance to facilitate visa application and room reservation. The approval of visa subject to the immigration authorities of United Arab Emirates however this may be noted that most of the European countries do not require visas. These fee will be forfeited if booking are cancelled.